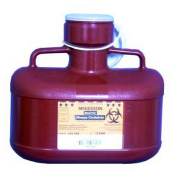 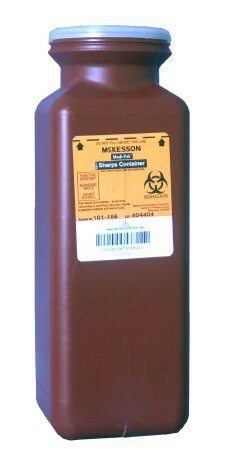 The McKesson 1.7 Quart Vertical Sharps Container is a decently sized sharps container with a few features to still provide a level of reliability and safety for offices and medical offices that do not dispose of much sharps equipment as the capacity of larger medical facilities such as hospitals. 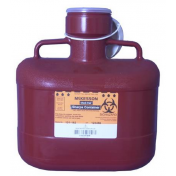 The McKesson 101-185 Sharps Container has a 1.7-quart capacity which is suffice if your facility uses more needles and syringes than anything else - more of an administrative setting than an actual medical procedure. 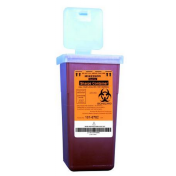 In properly disposing of your used needles, you may want to remove them from the syringes before disposing of them into the sharps container - you may do so with the help of a needle clipper such as the BD Safe Clip Needle Clipper. 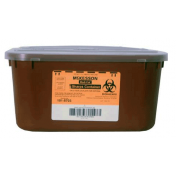 The Multi-Purpose 10H X 3.5W X 3.5D Inch McKesson Sharps Container offers safety features such as a locking lid to help deter unintended opening. 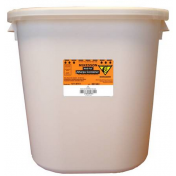 The lid opening is made in a funnel type to allow needles, scalpels, and other sharps items to be dropped in more conveniently - reducing space waste. 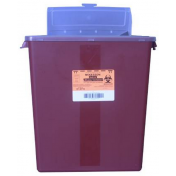 There are other sharps containers that offer a transparent design for their sharps container, this is a great use for your faculty to see when it needs to be disposed of; not so much if you have small children around. 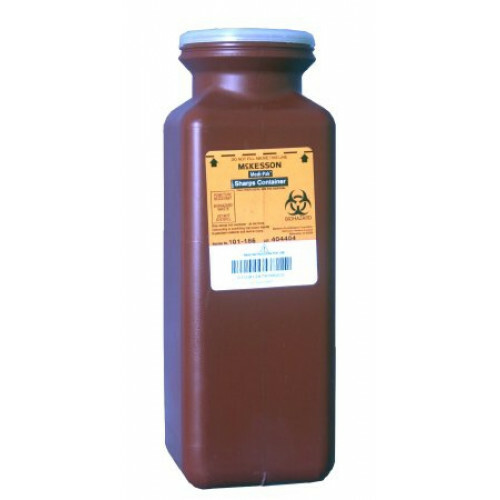 Keeping the design of the sharps container non-transparent removes this risk.